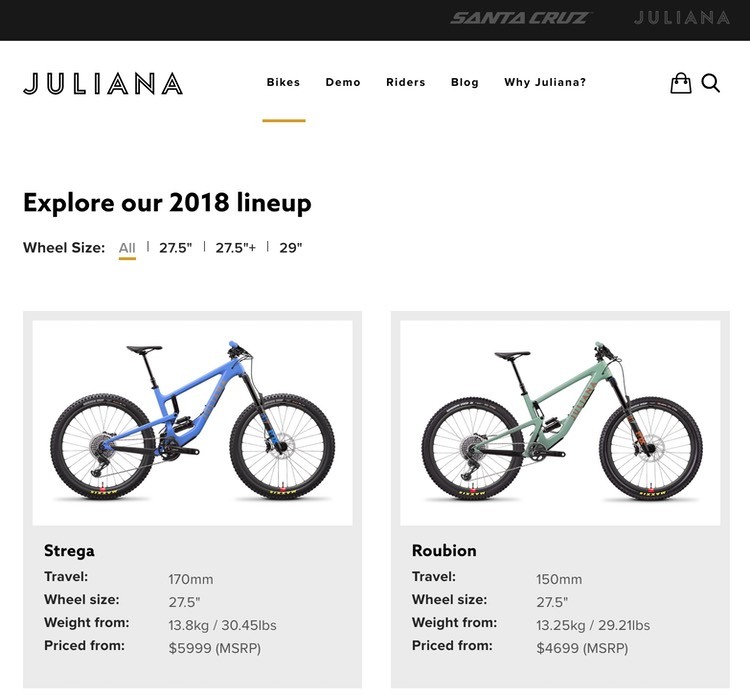 Juliana is the sister brand of Santa Cruz Bicycles, a long time client and friend of VentureWeb. Juliana makes mountain bikes for women shredders, and needed a website that truly reflects their offerings and culture. Create a more engaging brand experience throughout the website. Review the navigation and site architecture. 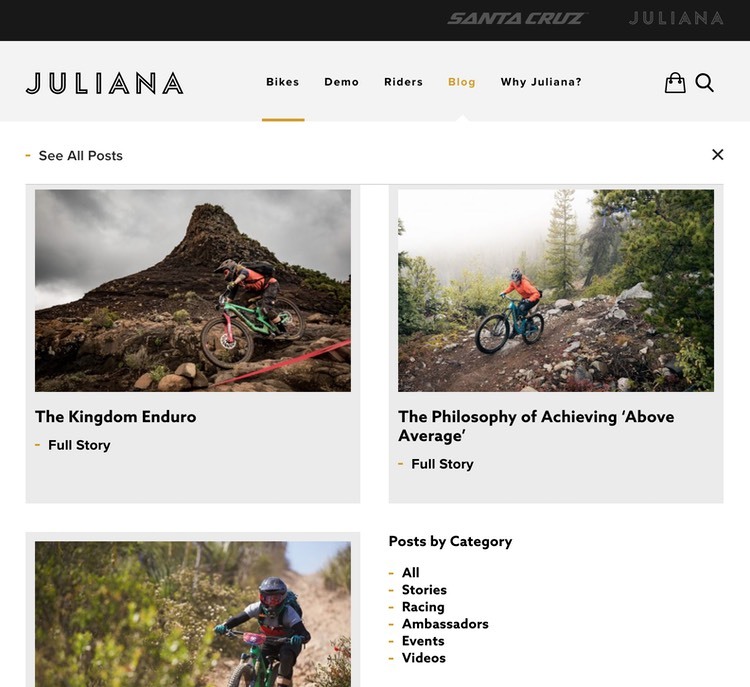 The Juliana website features beautiful new styling and inspiring imagery showing the bikes being ridden in their natural environments by Juliana riders. There is certainly none of the “shrink it and pink it” mentality sometimes on offer with women’s specific products. The design and photography is strong and striking - reflecting the Juliana brand itself. The navigation and filtering tools of the old site needed a refresh - they were somewhat limiting and sometimes did not offer the best user experience. We revised both. 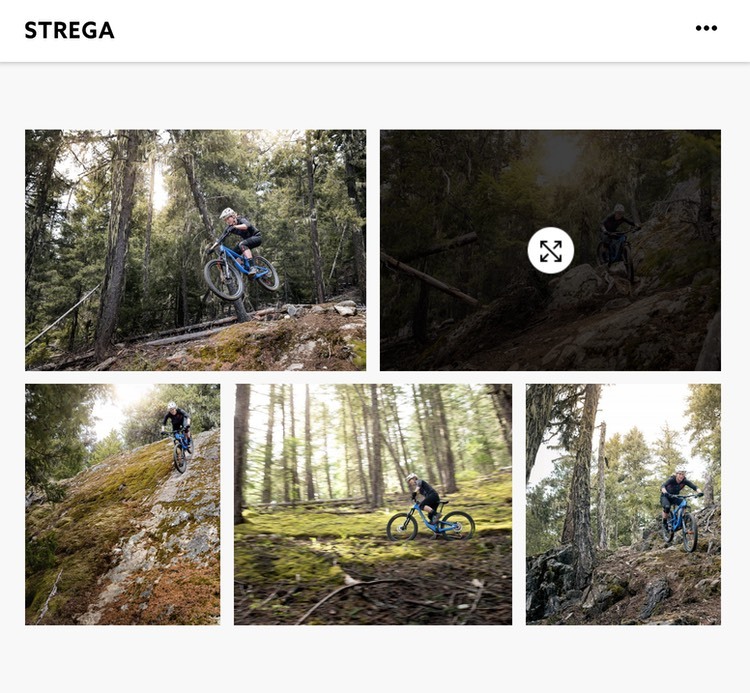 Now users can more easily get to the content they are looking for, and Juliana can ensure that all their great rider-generated posts are found and read. The Juliana website now caters to 12 separate geographical regions. Each region has specific product offerings and content has been translated to the appropriate language. We also display weights and measurements in metric or imperial (depending on the users’ location) and show prices in their local currency. At the same time as we released the major revamp of the Juliana website, Santa Cruz Bicycles were busy blowing up the internet with the launch of the new Bronson - and a sick edit from Ratboy. VentureWeb worked closely with Santa Cruz to ensure the midnight launch went without a hitch - including creating a homepage takeover that drew the most page views ever on the Santa Cruz Bicycles’ website. While the homepage takeover was in effect, the number of sessions on the website increased 185% compared with the same period last year, and page views increased 215%.